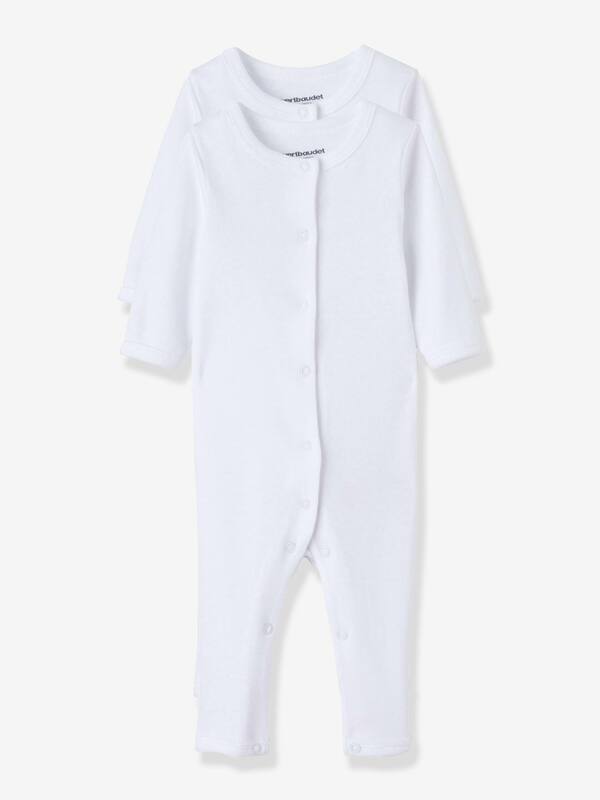 Offering baby extra comfort and warmth with super soft bodysuits that cover the body head to toe and look after the environment at the same time... that's what's important! LI>Pack contains 2 white bodysuits, with legs. Press-studs on the front and between the legs: practical for dressing and changing baby's nappy! These bodysuits are made from organic cotton grown without the use of chemicals or pesticides. Vertbaudet has developed a collection that underlines its commitment to the environment. Very soft in 1/1 rib pure combed organic cotton.